I don’t recall seeing any example of Longwell Green bodywork on here, so here it is. This Leyland Titan PD2/40 was new to Newport as their number 178 in 1958. Seating arrangement is H30/28R. An unusual feature is the upward bow of the canopy line. This picture was taken at Bus & Coach Wales, in Merthyr Tydfil, 14/09/2014, She looks good for 56 years old! 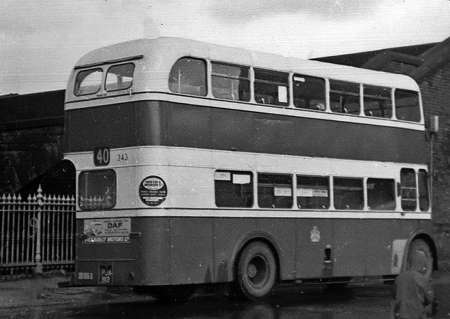 The upward bow to the canopy gave a rather old fashioned look to a late 1950’s bus. Otherwise this design seems to have similarities to Burlingham bodies of the same era. The fairly heavily radiused windows being the major similarity. This is a totally different design to the Stockport PD2’s which were the only Longwell Green bodies I was familiar with. The Stockport bodies were more akin to a Park Royal style. You notice one thing & others follow…Whence came those funny bobble indicator lights? You can’t see them when alongside. A lot of "standard" sets (behind cab & rear) were retrofitted, I know, and there was a brief time of jumbo-trafficators but were they compulsory & in orange by this date? Deep top panel of windscreen- when did these become generally one-piece and why two piece for so long? Small front saloon window- heater? Windows seem proud……. Lovely looking restoration. Philip, I beg to differ. The Stockport vehicles were very much based on the Burlingham design. See my article "Stockport Corporation Transport 1958-1969. The Stockport bodies had no relationship to the Park Royal design. You are thinking of the previous batch of PD2s which were Crossley bodies built to Park Royal drawings as Crossley were under the same ownership as Park Royal. 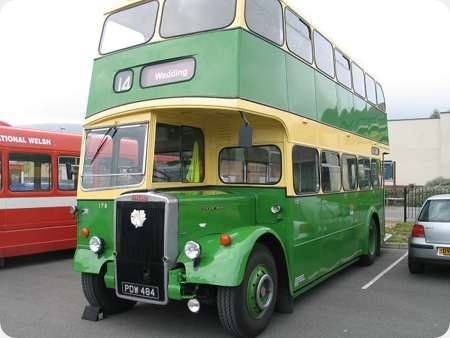 Stockport’s Longwell Green bodies are thought to have been built using Burlingham frames and from the rear look very similar to the two batches of Burlingham bodies supplied to Manchester (TNA 471-579). There are other similarities too in the radii used on the number blinds etc. The windows look different partly because of Stockport’s preference for wind down windows and the associated drip rails. However the Stockport buses that look really akin to the Park Royal style are the Crossley bodied PD2s delivered in 1958 which were built on Park Royal 4 bay frames. I remember these buses being newly delivered. One bus, the first, ODW 298 had a straight front. The flashing indicators were fitted from new if memory serves me well. This vehicle passed to a local scout group and was repurchased by N.C.T.